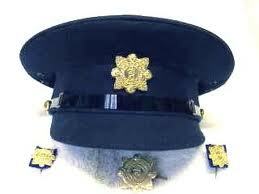 One of Donegal’s most senior and highly-respected Gardai has retired. Inspector Sylvie Henry left the force this week after a long and distinguished career. Inspector Henry, who lives in Letterkenny, was a member of the force for more than 30 years. He was based in Letterkenny for many years where he was a leading member of the Drugs Unit. However for the past number of years he has been based in the Glenties District Division. Tributes have been flowing in for the well-known Garda.